What is Car Rental Express? Car Rental Express is the only car rental website on the Internet that is dedicated to Independent agencies, local operators and mid-tier franchises. CarRentalExpress agencies are presented over the Internet to a global renter base and there are 100,000s visitors to the site each month. CarRentalExpress.com is developed in-house by ExpressITech and powered by the CRX Booking Engine. The site was entirely rebuilt and relaunched in March 2018. Getting your company listed on Car Rental Express is easy! Our web browser based user interface, Reservation Manager makes it easy to enter agency vehicles and rate data. Compatibility with your existing RMS is an option. There are no additional software start-up costs. Once your vehicle inventory and company data are entered in the CRX Rental Center; it is almost effortless to activate it on your own private website too. For as little as $249 per month, you can subscribe to CRX Booking Engine at Your Website and enable real-time reservations on your proprietary website. You pay only low percentage costs of revenue for booked reservations. Why are these service costs so low, compared to other travel sites? We value our long term client base, of more than 400 car rental agencies, built over a decade. Setup at CRX is FREE*, given active agency participation. What is the CarRentalExpress Program? If you want to showcase your vehicles at CarRentalExpress.com, which offers all these great online presentation and rental features, sign up now. For more information on Features and Pricing, continue reading below. The CRX Rate Search matches a renter’s travel dates and locations to your available vehicle inventory. Search results list your best three prices by vehicle class, along with those of other agencies. When the renter clicks on your vehicle listing, they are directed to your Rental Center so they can complete their reservation. The Rental Center is a feature-rich set of web pages co-branded with your company’s name and logo. 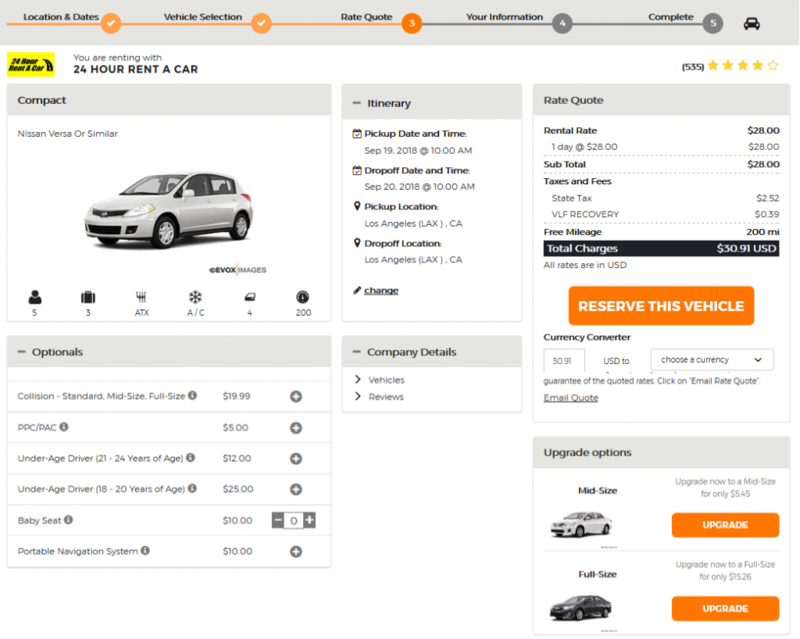 The following CRX Booking Engine Modules are displayed to the renter: Rental Center, Locations, Vehicles, and Specials. Also, an Agency Profile page highlights specific information relating to your company such as its history, special services, fleet, and more. The Renter Ratings at CarRentalExpress.com are a powerful way for renters to gain confidence in your agency. After each rental, each renter may complete a short survey and offer comments that are posted on-line, regarding their rental experience. 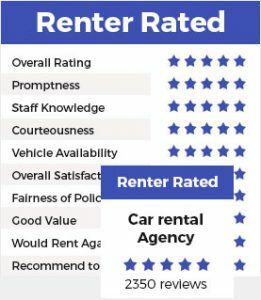 Renter Ratings are prominently displayed in rate search result listings and in your rental center. If you maintain a four star or better rating, this can really boost business. The Discounts section of the CRX site lists your company’s specials, discounts and coupons in a city-specific directory. Renters love discounts, even if it only 5% off on their birthday. You must be seen on the coupon pages to get the most rentals possible at CRX. CRX Manager is the user interface that you use to enter and manage all vehicle and rate data presented on CarRentalExpress.com. It is a web browser-based system, allowing you easy access to change your agency data in real-time, 24/7 every day of the year. Manager includes comprehensive reporting tools for visitor, reservation, inquiry and rate quote statistics. These are some of the best reports in the rental business, showing results at all locations. Pro Images are included in Car Rental Express services, and are recommended for use on your proprietary website, if you purchase the CRX MAX membership. Images are showroom quality, newest model, and cover all makes, models and colors! These professional images show your fleet to the best advantage and will increase rental conversions. Learn more about the Pro Image Gallery. The CarRentalExpress Program is the easiest and most effective way to gain access to the lucrative market of online renters who use the Internet for their travel needs. Now that you know more about CRX.com, powered by the Revolution™ Reservations, we invite you to. Sign up for the CRX Program and you will instantly gain access to Reservation Manager, where you can begin to set up your vehicle inventory and company information. Learn more about the CRX Booking Engine or take a test drive with a 30 Day Free Trial. Need more information about the CRX program, the CRX Booking Engine, or the CRX Private Label website integration of the system? Contact us. ExpressITech reserves the right to limit the number of CRX participants in any given city. The pricing shown on this page is effective Oct 1, 2018.